Agate is the official state mineral, as designated by Public Chapter 30 of the 106th General Assembly in 2009. Agate, a semiprecious gemstone, is a waxy, cryptocrystalline variety of mineral quartz in which the colors are present in bands, clouds, or distinct groups. 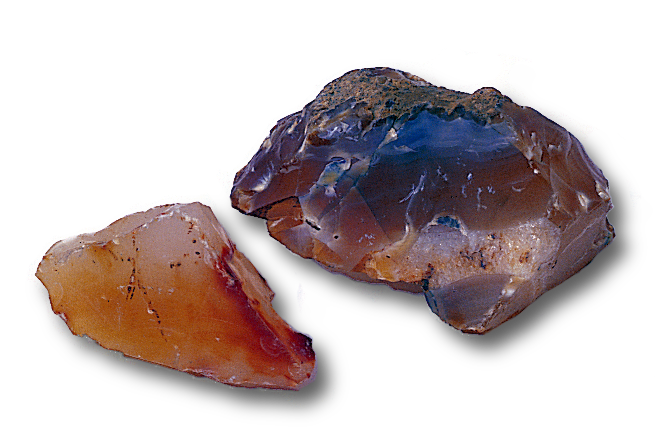 On March 5, 1969, the 86th General Assembly, in adopting House Joint Resolution 42, declared agate the official state rock. However, the designation was changed by the General Assembly in 2009 to state mineral because stone, rock, and mineral were used interchangeably in the original resolution, and the Legislature wanted to correct this discrepancy.